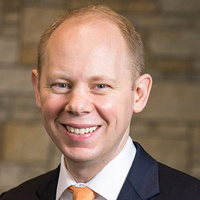 You are invited to celebrate Hope's President-Elect Matthew A. Scogin '02. Join Hope alumni, families and friends to send off the Scogin family as they anticipate their exciting relocation to Hope's historic president's home this summer. Join the Hope community for coffee, cake and remarks from our future president. Hosted by Rev. Andy Kadzban '08.